First, the ZAMUN General Assembly passed a resolution to deal with the issues of economic stability and environmental protection. After that, there was the closing ceremony, which included the awarding of prizes to best delegates from the committees. 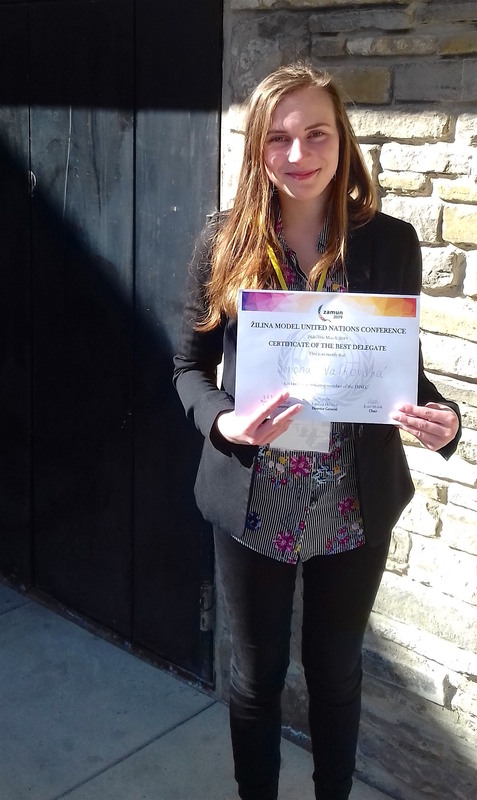 Our student Simona Valkovská received the best delegate award for her representation of Australia on the Disarmament and International Security Committee (DISEC). This is an outstanding achievement, especially for a 3rd year student attending only her second Model UN conference. 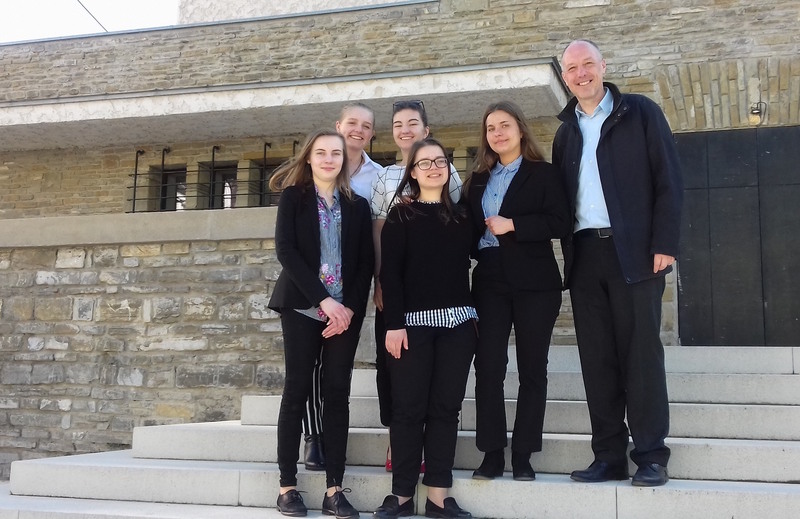 However, it is well-deserved, as Simona’s research and preparation for the conference were excellent, as was the level of debating and negotiating skill she displayed during the three days. 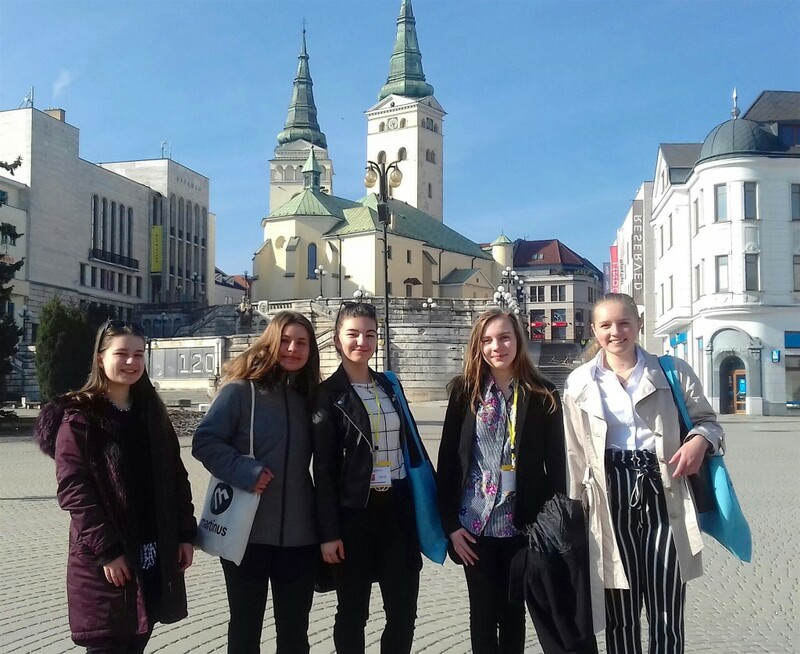 Our first-time delegates, Katarína Brezániová, Daniela Pavlíková and Zuzana Valová were also great representatives of our school and valued participants at the conference. They have real MUN potential if they want to participate again. Alena Buľovská was a high-performing delegate as always. Hopefully, she will be a committee chair, or deputy chair, at the next conference she participates in. The main venue for ZAMUN this year was the New Synagogue in Žilina, though committee sessions were held at other venues in the city-centre. 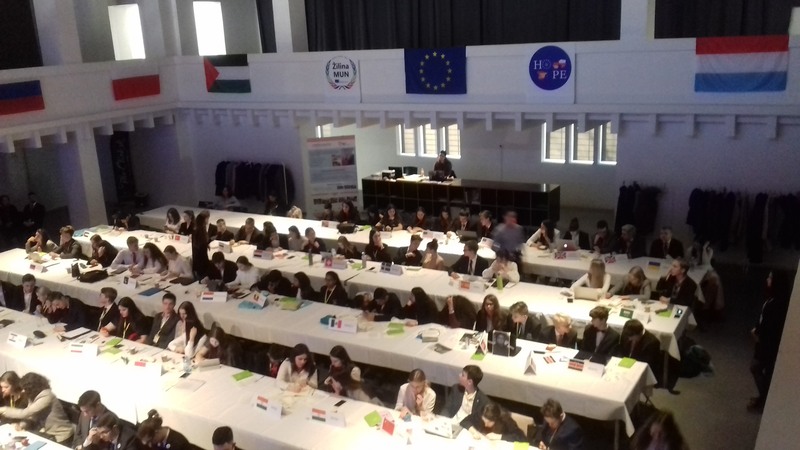 The conference was attended by approximately 120 students from 12 different countries, including India, Palestine, Russia and Ukraine. Besides our school, 7 Slovak schools also participated.